Limited to 500 copies. 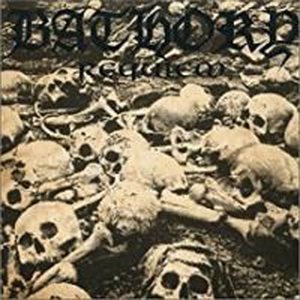 Requiem is the seventh studio album by Swedish extreme metal band Bathory and considered the start of the third and most criticized era of their history. Recorded in 1994, three years after the Viking Metal album 'Twilight Of The Gods' Quorthon takes the band in a new direction, retro-thrash in the vein of 1980s Bay Area thrash bands.